Using technologies in industries is the latest trend, Russian experts believe. Today venture investors are showing a keen interest for ideas that go beyond consumer smartphone applications. While earlier they invested in "light" Internet startups, now more and more venture funds created by large corporations are exploring a different field and paying more attention to software developments and robotics in the oil and gas sector. However, today this trend is not only characteristic of the oil and gas sector - it can be found in every industry, including car manufacturing. "Just look at what Tesla has done to the car market," says American investor of Russian origin Alexandra Johnson, who is the managing director of Global Technology Capital. Elon Musk's technology has completely changed the behavior of global car producers, she believes. "Everyone was afraid after Tesla came out. Big corporations such as GM and Ford began creating their own corporative investment funds to keep an eye on the technologies that come out on the market," notes Johnson. This year the TechTour international platform for venture investors and corporations has shown interest in Russian industrial startups. At the end of April the organizers of the TechTour Russian summit selected 25 local companies to present to foreign investors in Moscow and Kazan. The focus of 32 percent of Russia's TechTour finalists concern the oil and gas sector, remarks Pavel Korolev, who heads Pulsar Venture Capital, the main organizer of the Russian tour. "Holding the Russian TechTour, my colleagues and I decided to show our European partners companies from the industrial sector because industry paradigms are changing in the world today, the industries themselves are changing. This is a unique opportunity for Russia, with its Soviet engineering background, to direct its scientists towards industrial innovations," explains Korolev. Using technologies in industries is the latest trend, believes Alexei Tuknov, investment director of Maxfield Capital. "Some time ago there were many consumer webs, but now we see that there is a trend not for B2C but for B2B solutions, which are appearing in traditional sectors. This can be robots and software,” he said. In Tuknov's words, today the creation of B2B startups is an underestimated opportunity for Russian developers. Moreover, today it’s much easier to receive financing for B2B startups and large corporations buy them more often, he adds. Who buys Russian Hi-Tech ideas? 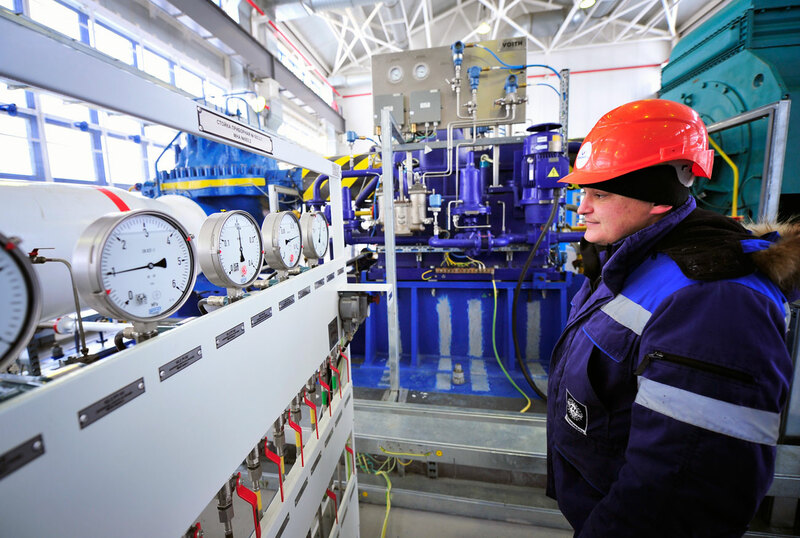 There is a demand for Russian technologies today among many oil-producing countries. For example, the Russian CUT-service oil service company, one of the finalists of the Russian TechTour, has successfully sold its ultrasound oilwell cleaners abroad. Among its clients are Aradieba Formation in Sudan, Viking Formation in Canada, and Green River Formation in the U.S., as well as several TNK-BP subsidiaries in Russia’s regions. CUT-service's innovation involves using ultrasound to clean the holes in oil wells that are clogged with paraffin wax and resinous substances during drilling. The technology can be employed in both new and used wells. Consequently, the wells are quickly restored and oil production increases, as production reports on the company's site prove. Another TechTour finalist, the Mirrico Group, designs robots for cleaning specific waste (oil sludge) that accumulates in tanks transporting oil on rails and in oil reservoirs in oil processing factories. The MARTin robot, patented by the Mirrico Group, can do this work several times faster and more effectively than several factory workers, according to company information. In the words of a Mirrico Group representative, oil corporations from Mexico, Iran and Kuwait have shown interest in the company's technology. For now there are two such robots in Russia. They work in plants belonging to Sibur and Gazpromneft. There are only two equivalents to the MARTin robots in the world. They are produced by the NESL and Offshore Cleaning System companies, although they are not as effective as the Russian technology, confirms a company presentation.